And in Jeremiah 31 the new covenant is also mentioned, with the blessings of the covenant listed. Hebrews 8 talks about the new covenant superceding the old in some way (the details of which perhaps I will put in another question). At which stage did this new covenant supersede the older covenant, according to Reformed theology? The differences that Berkhof sees in the "new covenant" are its universal nature, its greater emphasis on grace, and its richer blessings. But in essence it is the same covenant as that given to Abraham, Moses, and others. So strictly speaking, while the "new covenant" begins in the New Testament with the life, death, and resurrection of Jesus, it is essentially the same covenant as the "old covenant" that preceded it. So to summarize – Reformed theologians see the "new covenant" as an administration of the more general "covenant of grace," and in essence identical to the covenants laid out in the Old Testament. But while it applies to all of redemptive history, the "new covenant" has its historical inauguration in the life and particularly the death of Christ on the cross. (1) Moses "builded an altar under the hill, and twelve pillars, according to the twelve tribes of Israel" (ver. 4). (2) Young men of his appointment sacrificed burnt-offerings and peace-offerings unto the Lord. (ver. 5). (3) The blood of the sacrificed animals was divided: half was put in basins, and half sprinkled on the altar (ver. 6). (4) The words of the book of the Covenant were next solemnly read in the audience of the people; and the latter renewed their assent to them (ver. 7). (5) The blood was then cast upon the people out of the basins, and the Covenant was declared to be concluded (ver. 8). Two points here claim our attention. The action with the blood. The Last Supper speech is the reading of the new covenant. The carrying and erection of the cross is the building of the altar. The crucifixion of Jesus is the sacrifice. The piercing of Jesus with the spear and the flow of blood is the sprinkling of blood on the altar. The final act that is required is that the blood also be sprinkled on the people binding themselves to the covenant. Since Jesus called the wine of the communion table his blood, it follows that when the Apostles and other disciples first took communion after the resurrection, the new covenant was ratified. This may be when Jesus appeared and ate fish with them, or when the two who were on the road to Emmaus broke bread with Jesus. An alternate view is that this happened on the day of Pentecost. 14 how much more will the blood of Christ, who through the eternal Spirit offered Himself without blemish to God, cleanse your conscience from dead works to serve the living God? 15 And for this reason He is the mediator of a new covenant, in order that since a death has taken place for the redemption of the transgressions that were committed under the first covenant, those who have been called may receive the promise of the eternal inheritance. 16 For where a covenant is, there must of necessity be the death of the one who made it. 17 For a covenant is valid only when men are dead, for it is never in force while the one who made it lives. David VanDrunen (Professor of Systematic Theology and Christian Ethics at Westminster Seminary), affirms this, that "the redemptive act of Christ's crucifixion itself established the new covenant." (Divine Covenants and Moral Order: A Biblical Theology of Natural Law, p. 85) Likewise affirms Gill, and others. The vanish refers to the practice, foretelling the destruction of the Temple, among other things, as Gill notes, which included the genealogical records of the priests and other things required under the Law. Thank God. Christians dare not treat His law lightly, because how we view God’s law indicates how we view God Himself (Rom. 3:21). Thus, Christians are called to joyful obedience to His law out of love for Christ. This obedience bears practical righteousness. I have a ways to go practically in heart, and in deed. John Owen rightly recognized that the New Covenant alone is the Covenant of Grace. It was formally established as a covenant in the death of Christ, but it effectively worked retroactively to save OT saints prior to its legal establishment. Read his tremendous commentary on Hebrews 8 for a great explanation. Not the answer you're looking for? 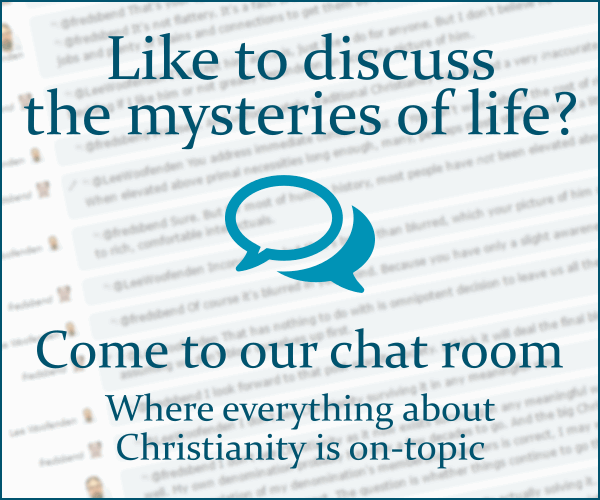 Browse other questions tagged reformed-theology covenants covenant-theology new-covenant or ask your own question. Why did God create a new covenant? Is the New Covenant a unilateral or a bilateral covenant? What do you call the adherents of Covenant Theology (CT) and New Covenant Theology (NCT)? According to Reformed Baptist theology when did the Church begin?